For fourth of July we had made plans to hang out with our friends Diana and Gav and their daughter Naomi, and I (of course) wanted to make something for us to snack on. 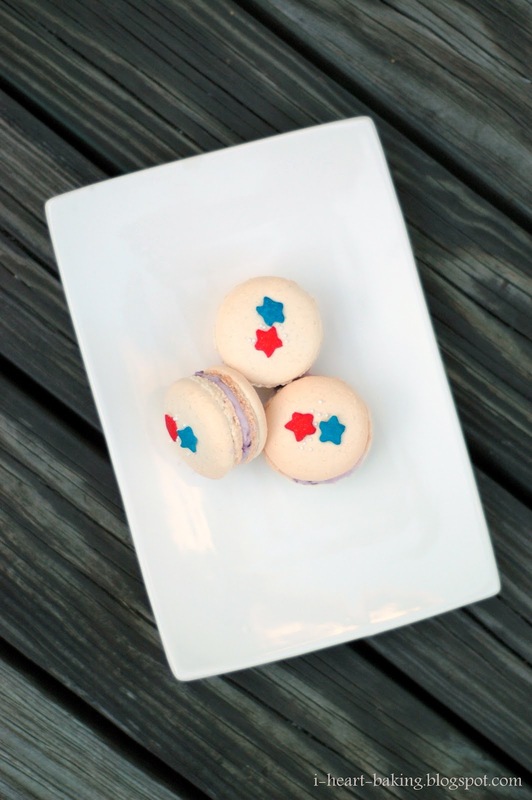 Last year I made these red white and blue cupcakes, and this year I ended up making red white and blue macarons! 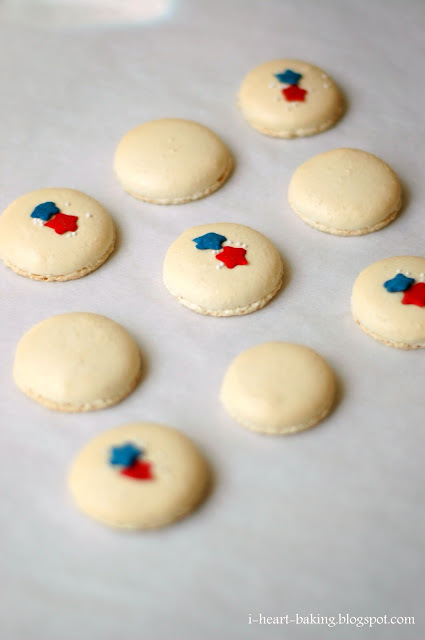 I decorated the macaron shells with red and blue star confetti sprinkles and white non-pareils before baking, and couldn't wait to see how they looked when they came out of the oven. To my horror, half of them had horribly cracked, while half of them were fine. I'm not quite sure what happened. Maybe it was the addition of the sprinkles on the top? I've also read that you need to hit your baking tray hard against the counter before baking, to get out all of the air bubbles. I'll have to remember to do that next time. 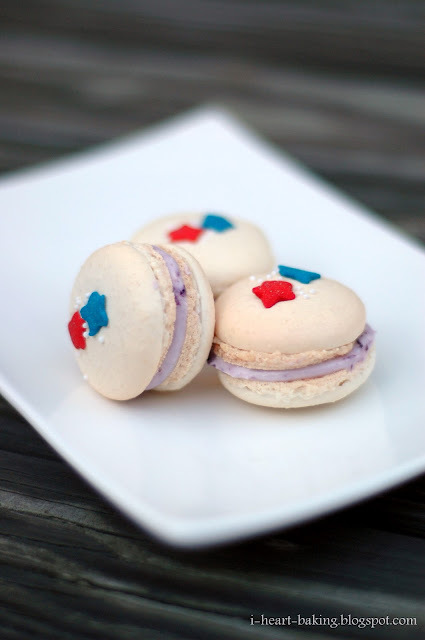 I had originally wanted to fill a third of the macarons with raspberry cream cheese filling (for the red), a third with blueberry cream cheese filling (for the blue), and the last third with plain cream cheese filling (for the white), but ended up just doing the blueberry. I chopped up my blueberries and then cooked them on the stove for a bit to soften them and reduce the amount of liquid I would be adding to the filling. This gave me a jam-like consistency, which I cooled and then whipped with cream cheese, vanilla, salt, and confectioner's sugar. forget about the ones that cracked. The ones that didnt are so cute! 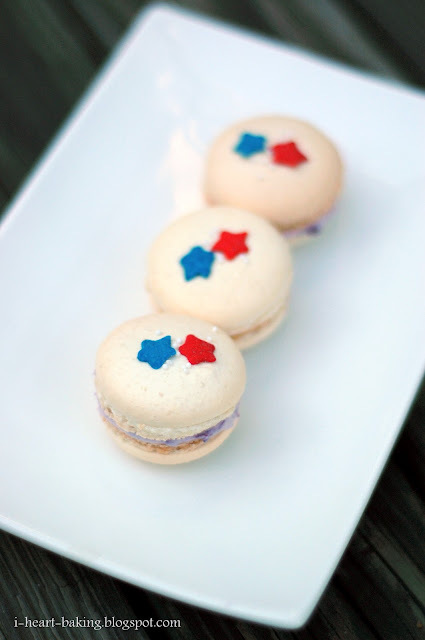 These are so perfect for the 4th, I am sure that everyone enjoyed them. Great pics-thanks for sharing. 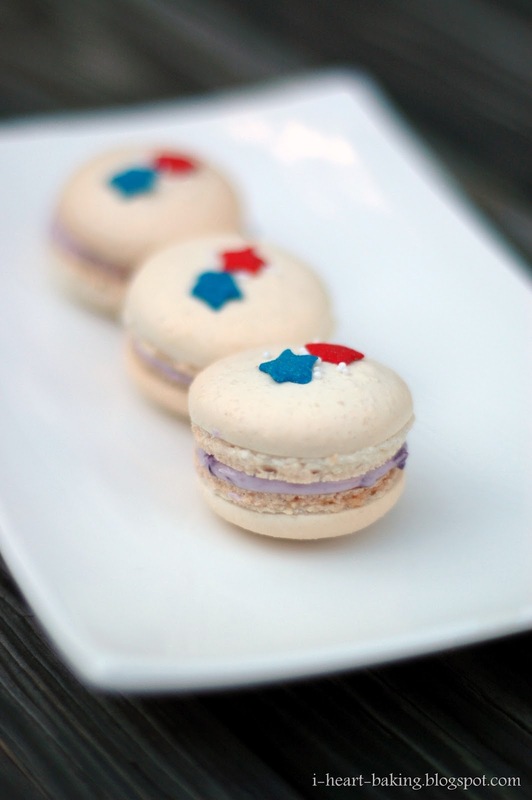 Happy Fourth of July Shell! Those are beautiful cookies! Thanks for the inspiration! 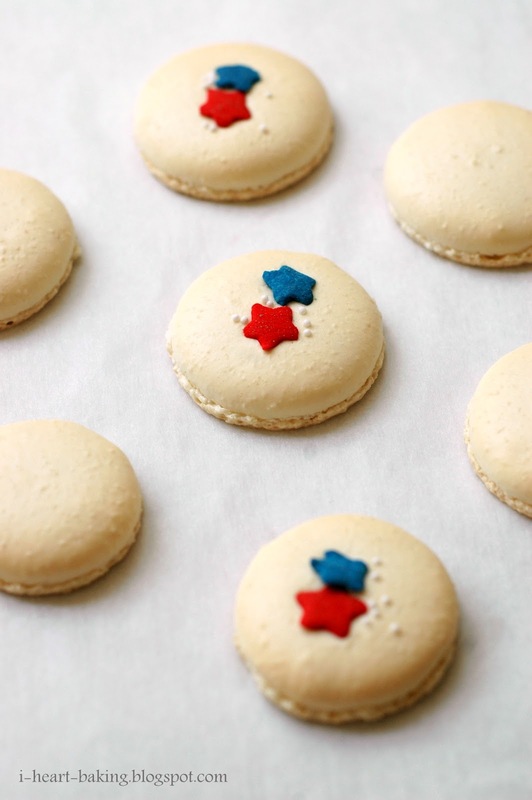 We've included this recipe into our list of 150+ Delicious 4th of July Dessert Recipes!